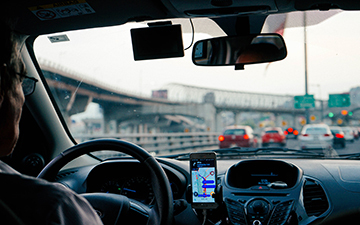 TORONTO, January 30, 2019 – Uber wants its users, its drivers and particularly the Canada Revenue Agency to agree that it does not provide "rides" to its "customers.” Instead, Uber Canada Inc. (UCI) contends in its notice of appeal (NoA) filed in the Tax Court of Canada (TCC) on December 10, 2018, they merely offer "marketing and support services." The distinction may seem academic at first glance but the tax implications are profound for both UCI, "their" drivers and the gig economy. Left to right: David Piccolo, tax partner, and Joe Wahba, associate, of TaxChambers LLP in Toronto. On December 23, 2014, the CRA issued Notices of Reassessment to UCI for the reporting periods: October 1, 2012 to June 30, 2013 for disputed unremitted GST/HST and penalties totalling $617,772.89. In UCI's NoA requesting the reassessments be vacated, Uber argues: since they are not technically in the business of providing transportation services to riders, they do not owe GST/HST based on the rides provided to Canadians via the Uber app. Instead, UCI argues that it is only required to remit GST/HST in relation to their relevant taxable supply of marketing and support services. The Department of Justice has not yet issued its Reply in response to the NoA. Shortly after issuing the contested Notices of Reassessment described above, on October 16, 2015, the Minister of National Revenue (MNR) filed a summary application seeking an order under Section 231.7 of the Income Tax Act compelling Uber provide documents related to an audit under the Act for the 2012 and 2013 taxation years. The MNR's application was discontinued and the resolution of income tax audit has not been made publicly available. In any case, this is well-worn ground for the Canada Revenue Agency. The CRA has a history of adopting enforcement strategies for emerging technologies after some protracted back and forth. For instance, the CRA attempted to investigate eBay PowerSellers in 2006 for the 2004 and 2005 tax years, it then expanded the investigation in 2008 for the 2006 and 2007 tax years. The CRA's investigation was stymied by eBay Canada's refusal to turn over information about PowerSellers. In eBay Canada Limited v The Minister of National Revenue 2008 FCA 141, the Federal Court of Appeal upheld the lower court's decision rejecting eBay's arguments that: 1. eBay's computers were in the U.S. and therefore beyond the reach of the MNR, and 2. the probe amounted to a fishing expedition. 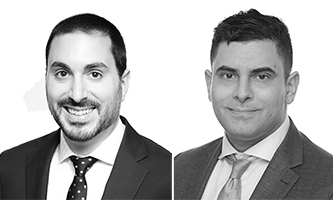 By David Piccolo, tax partner, and Joe Wahba, associate, of TaxChambers LLP in Toronto. Lead photo by Dan Gold on Unsplash.